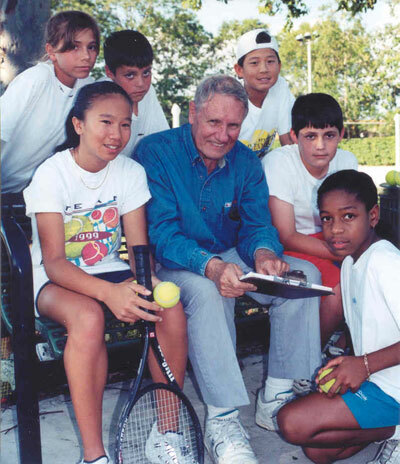 Bobby Curtis, Florida section coordinator of junior tennis for the United States Tennis Association, will be honored at the Greater Miami Tennis & Education Foundation’s annual Sony Ericsson Open Tribute Dinner on Sunday evening, March 25, during the 2007 Sony Ericsson Open. Guest speakers will include executive director of USTA Florida, Doug Booth (via video recording); Kim Sands, a Moore Park player under Curtis who became a WTA pro and the first African-American women’s tennis coach at the University of Miami; Jean Desduns, another Moore Park player who was an All-American tennis player at Clemson University and is currently a USTA National Coach; Donna Fales, former international touring pro who devoted 30 years to helping underprivileged kids through the game of tennis; and Mary Jo Fernandez, retired WTA pro and sports commentator. Please call GMTF for reservations at 305-365-2311. All proceeds will benefit the nonprofit foundation’s free tennis and education programs helping Miami’s children, many of whom are at risk. Seating is limited for the dinner scheduled from 5 to 7 p.m. at the Sony Ericsson Open Hospitality Village. Cost is $150 and includes dinner and a ticket to the night session on March 25. Contact Meg Daly, 305-665-3098, to learn how you can contribute to the GMTF scholarship in Bobby Curtis’ name or send a personal message to Curtis in the evening’s tribute scrapbook-style program book. Bobby is not only being honored for his tremendous contribution to tennis, but also for his eternal compassion to help players attain a better life. 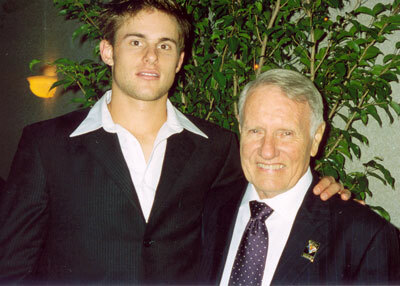 He has grown to be known as the ambassador of tennis in Florida and is a tremendous role model for many. His passionate personality and devote dedication to the game of tennis is extremely admirable and what everyone in the USTA strives to accomplish. He has impacted the lives of so many players in the state and does it with such zest. With him, there is never a dull moment! Bravo Mr. Curtis! USTA Florida couldn't be happier that The Greater Miami Tennis & Education Foundation has decided to recognize you for your amazing accomplishments!